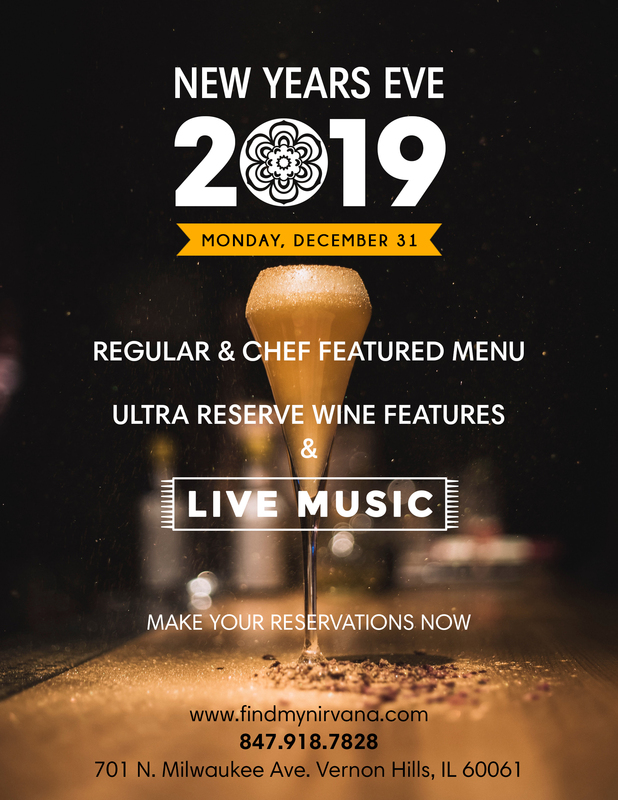 Join us at Nirvana Wine & Grillerie for our New Years Eve Celebration! We are offering our regular menu, as well as a chef featured menu. No set menu! Chef featured menu will be out next week!